Back in 2011, I photographed Nikki & Devon's engagement and wedding photos, so when they told me they were expecting a little one I was super excited for them! 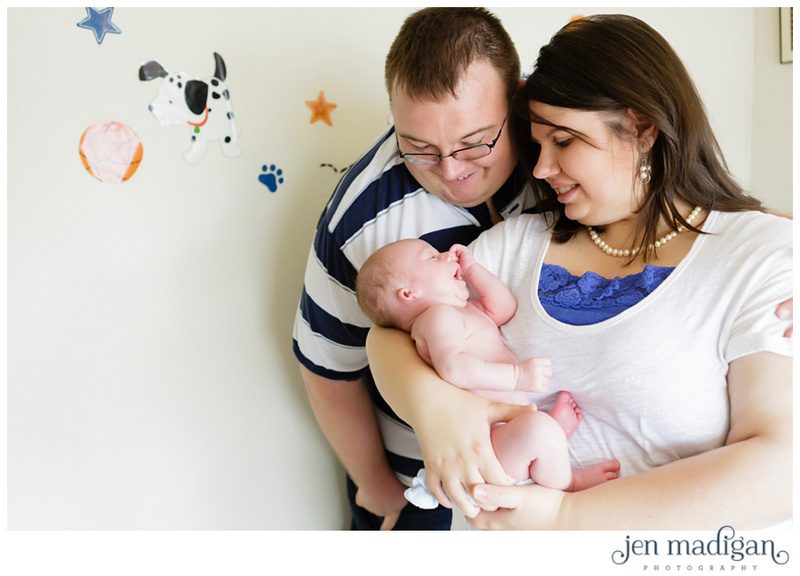 These two are such caring, sweet people that I knew they would make amazing parents. 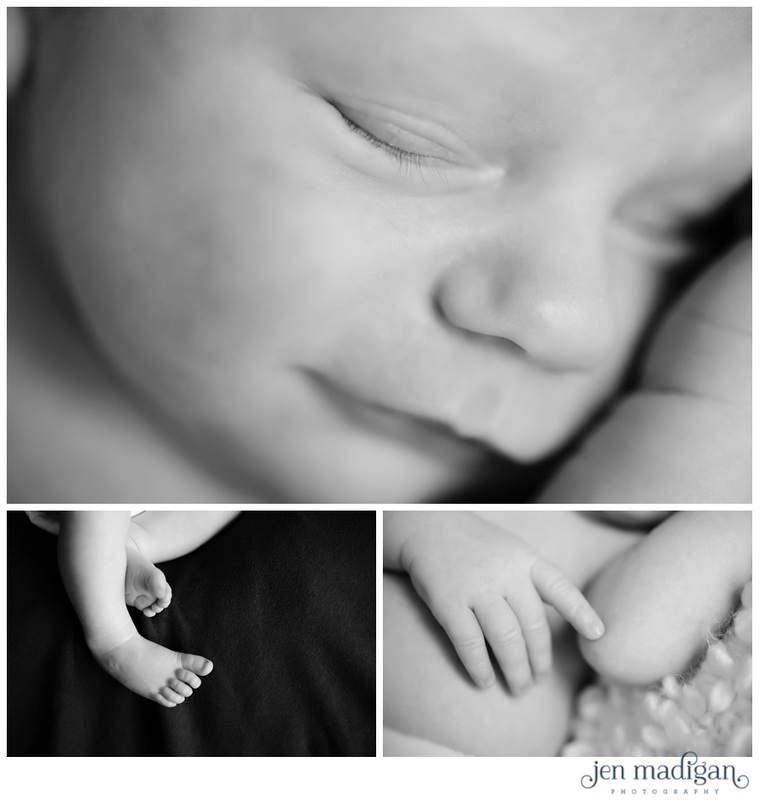 Jack was born on April 6th, so he was just 14 days old for his session. 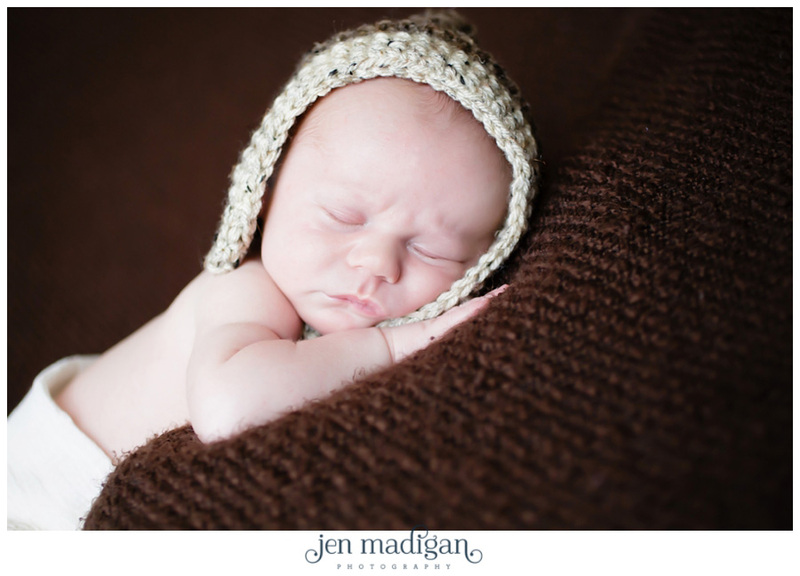 He was a great model, and I can't get enough of those long eyelashes and cute little face. 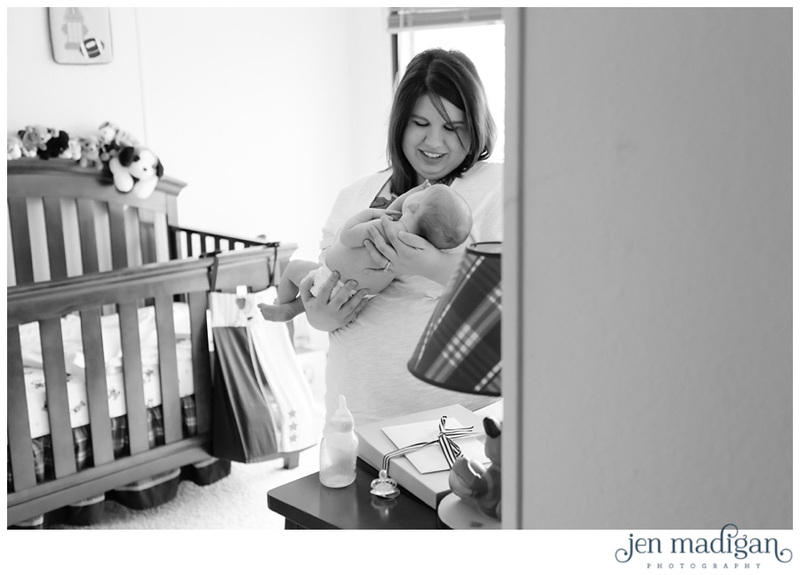 Nikki & Devon - Thank you so much for trusting me to document your new addition. 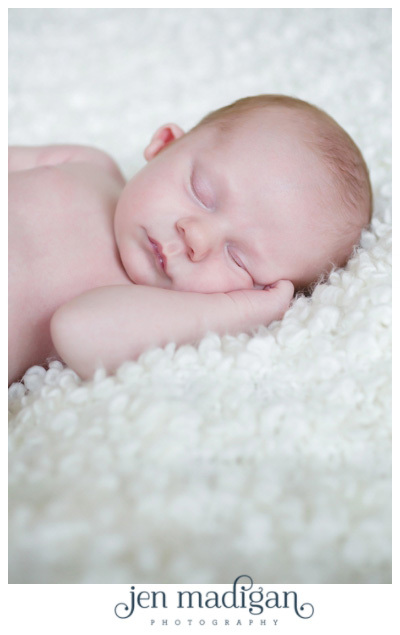 Jack is absolutely precious and I'm so thrilled for you both. 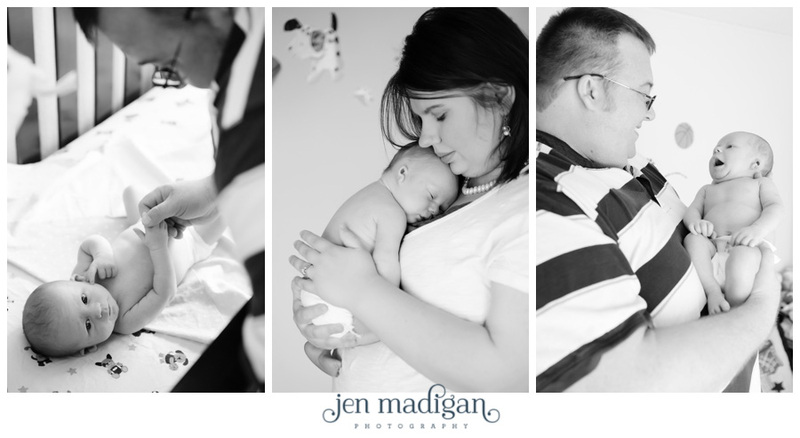 I can't wait to see how your family grows, thank you again for allowing me to be a part of your story. 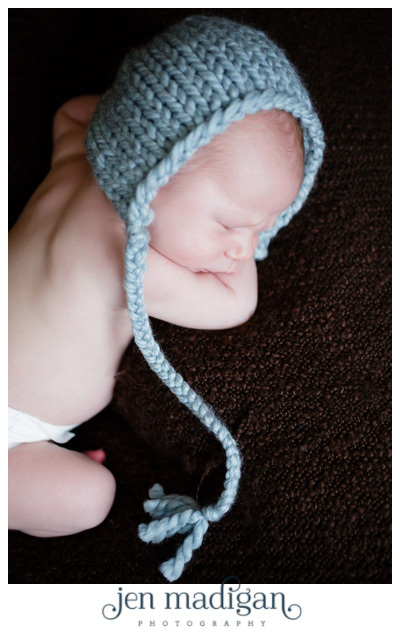 Hat courtesy of Andrea at Forever Handmade. 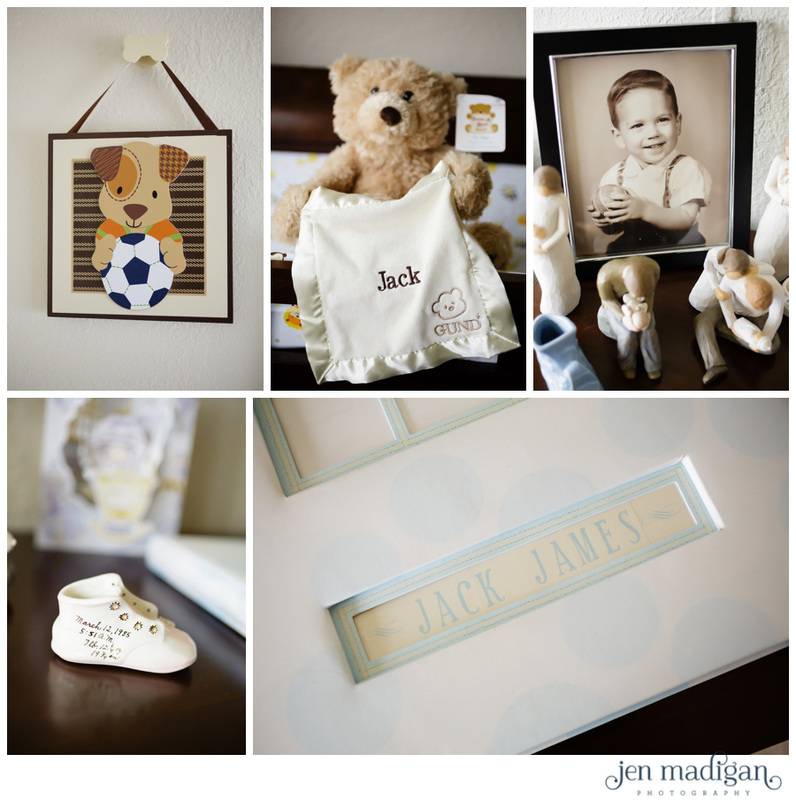 I loved all of the little touches Nikki and Devon had around Jack's nursery (the bear played peekaboo! 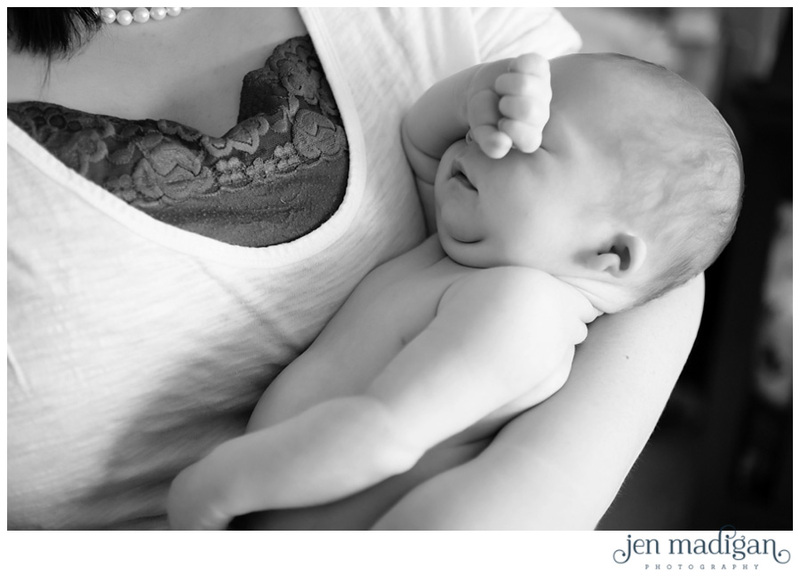 ), especially the family heirlooms like the photo and the ceramic baby shoe.